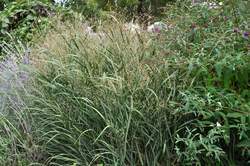 A stiff and upright form of switch grass, Heavy Metal has lovely metallic-blue foliage and white flower plumes that appear in late summer. In fall the foliage turns bright yellow and contrasts nicely with the seed heads that age to red. Plants form nice clumps that hold their silhouette well into winter. 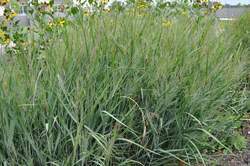 Plant in average to moist soil. Great as a specimen, in mass, and near water features. Cut plants back in early spring.